I feel like everyone has a kitchen disaster story and when I was making this recipe to photograph, I was reminded of one of mine. You see, whenever I make carrot cake; I obsessively check that my walnuts are fresh. Why? One time I spent hours making the most beautiful carrot cake. It was a double layer cake with perfectly whipped cream cheese frosting and looked amazing... but when we cut into it and took a bite, it just tasted off. The walnuts were stale and the cake was totally ruined. I was so mad that I vowed never to make another recipe with walnuts ever again. If walnuts were a person, they were my enemy and I would have been writing moody Facebook status updates hinting at my hatred towards them. But unfortunately for me, walnuts are actually really delicious and carrot cake is one of my favourites so I still really wanted to be their friend. Luckily my walnut ban lasted all of 0.00001 seconds as I then created this Carrot Cake Smoothie Recipe which then lead me to create ALL the carrot cake related things (even a Carrot Cake Baked Oatmeal Recipe) and my obsession only got stronger. 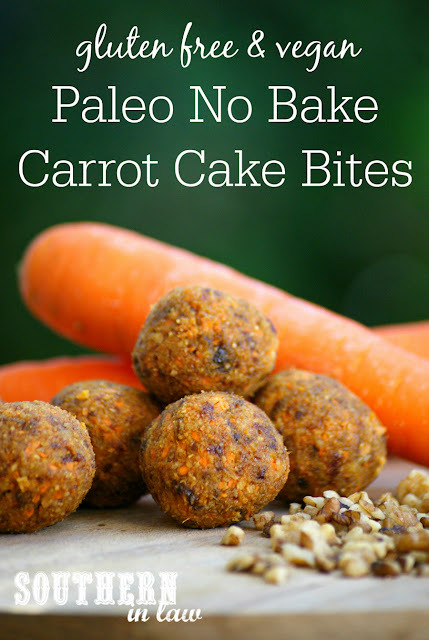 These carrot cake bites are a recipe I've been making for years but somehow I've never shared them before. We tend to make a big batch and freeze them as they can be eaten straight from the freezer, however, for those looking for a more traditional textured bite, I've also shared my tips on how to achieve that too. In a food processor, process your cashews and coconut until they breadcrumbs and no large pieces remain. Add your dates and process until your dates are broken up. Add your carrot, spices and salt and process until your carrot is chopped and your mix comes together. Add your walnuts and pulse your mixture to evenly distribute your walnuts throughout the mix. If your mix seems to wet and sticky to roll at this point, add some coconut flour 1 tsp at a time until your mix is slightly drier. This will be dependant on how big your carrot is and also how moist your dates are. 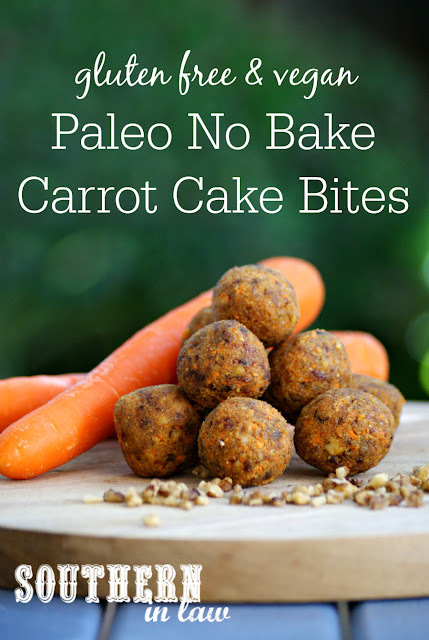 Once your mix is ready, roll your carrot cake bites into balls using around 1 tbsp of mix (make them as big or as little as you like). 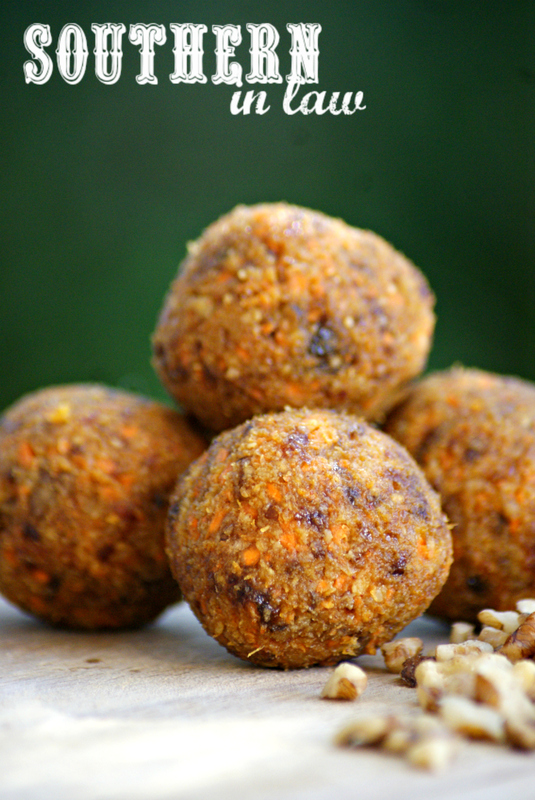 If desired, you can roll them into dessicated/shredded coconut or simply place your balls onto a plate or into a container. Continue until all of your balls are formed and enjoy immediately or chill in the fridge until you're ready to eat. 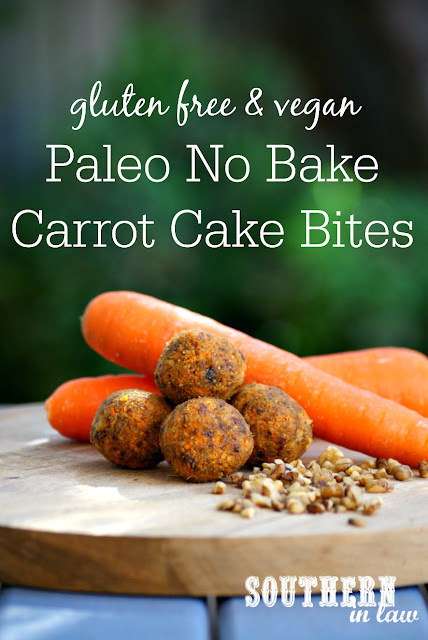 We keep our bites in the freezer so they're nice and chewy - this also works really well if your bites are super moist as they firm up in the freezer but don't freeze fully. These bites will keep in the fridge in an airtight container for up to a week or can be frozen for months. But tell me, do you have a kitchen disaster story? What's your most recent or worst kitchen disaster? My most recent was a serious pancake fail (which you might have seen on Instagram or our Recent Things post) where I was shooting a pancake recipe for a client only to have my tile background fall down onto my pancakes and squish them flat.